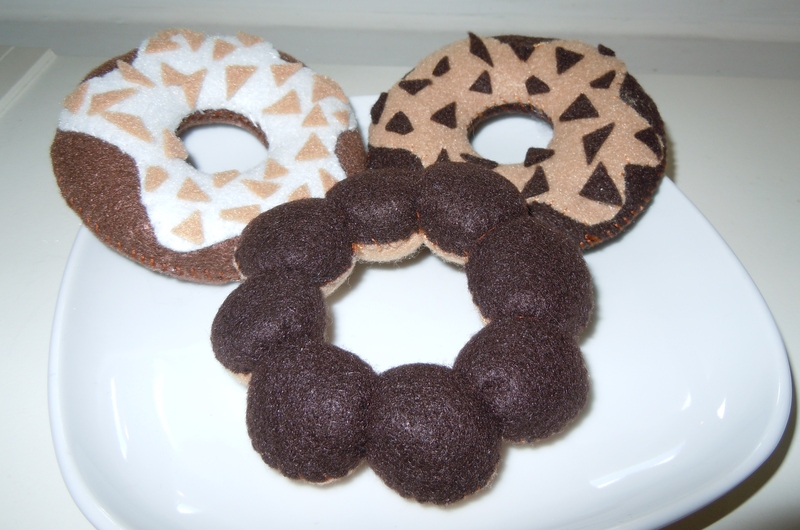 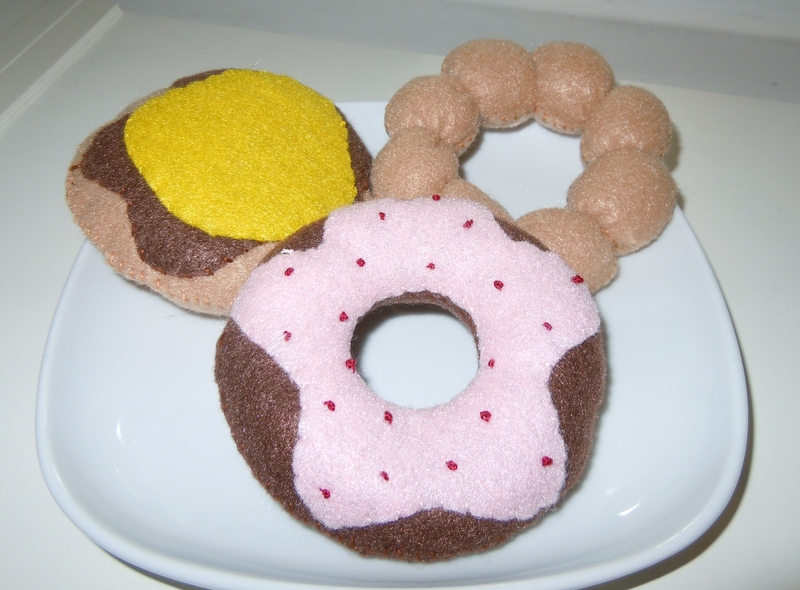 After working my way through making felt afternoon tea treats and drinks, fruits and veggies, and sushi, I finished off with crafting felt doughnuts and a gorgeous cake. 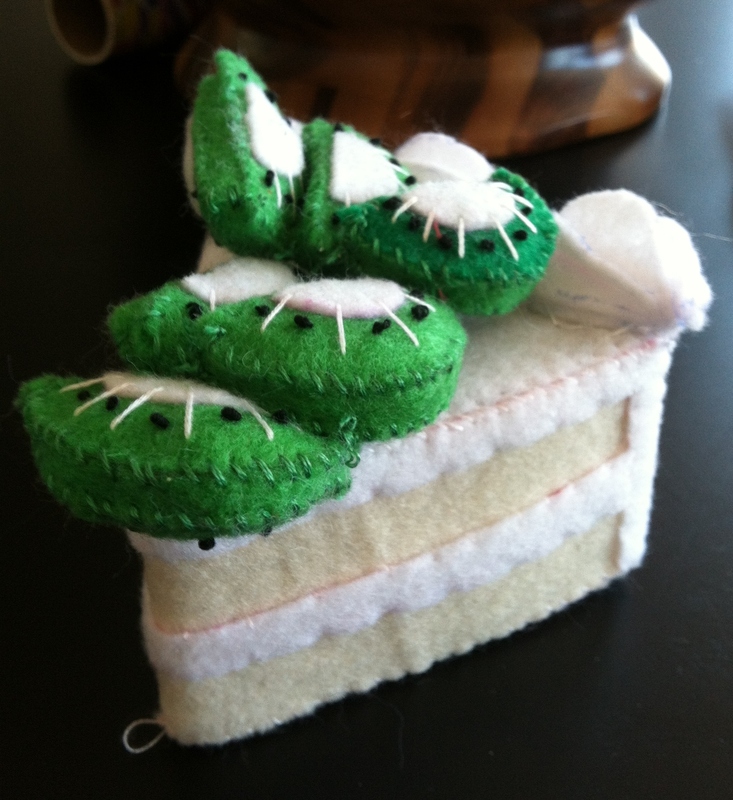 Felt patterns are for sale at Ume Crafts (http://www.artfire.com/ext/shop/home/umecrafts). 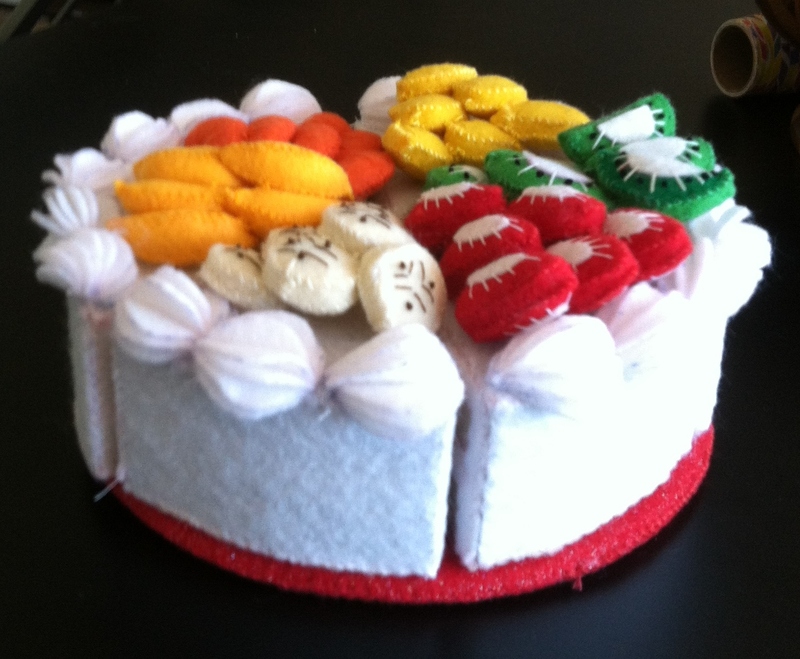 The cake is 6 individual slices of deliciousness. 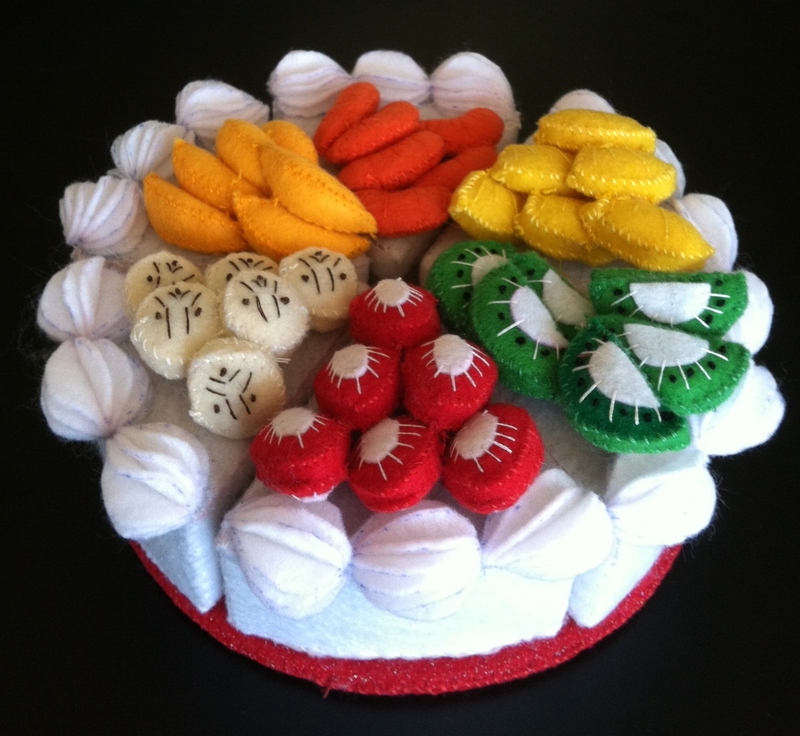 The fruit toppings (bananas, strawberries, kiwi, pineapple, mandarin oranges, and mango) are removable and interchangeable. 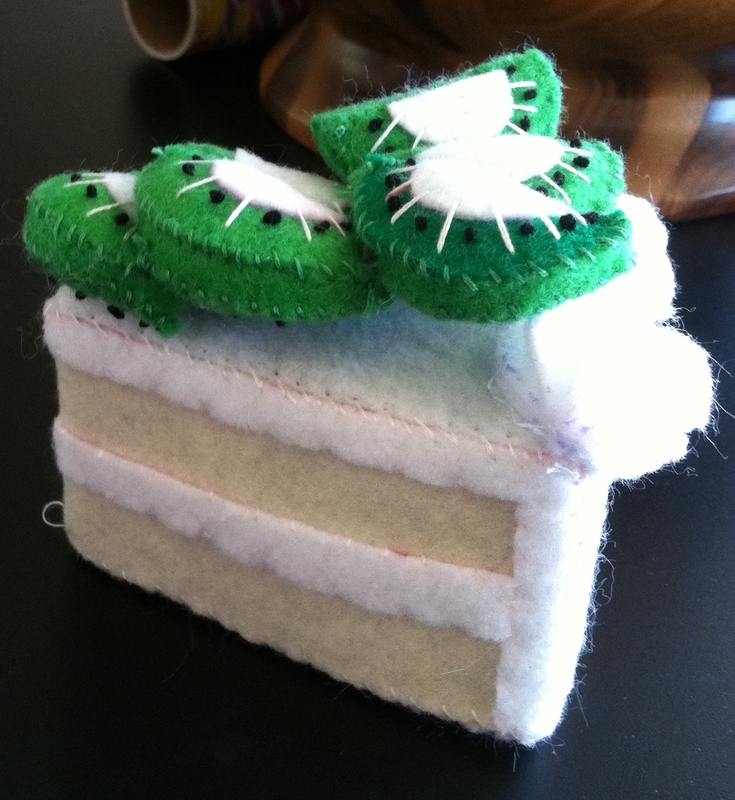 A close up of a slice of cake topped with kiwi.